Sometimes you need a single piece of patio stone to complete a job and sometimes you need several truckloads. We understand that are here to help you no matter how big your project is! Right behind our old location on Kellogg Ave! Look for the signs and the new parking area! Steve and Karen Creech were longtime customers of Ohio Valley Stone Products until June 1st, 2018 when they purchased it from then owner Bill McIntosh. Bill was a 40-year veteran of the masonry construction industry, and for years provided top quality materials to his array of customers. Steve and Karen Creech are continuing building off of the strong foundation that Bill built at Ohio Valley Stone Products. Creech’s Ohio Valley Stone Products, Inc. carries all sorts of stone products from bagged and loose aggregates to multi-ton boulders. You will find stone from Ohio, Tennessee, Pennsylvania, Mexico, and even India on this well-maintained lot. Our stone yard is changing all the time as we get new stone and add new products. For the best deals stop in today and let us fulfill your stone needs. Whether you need one stone, one ton, or one truckload Creech’s Ohio Valley Stone is your source for quality stone in the Cincinnati Tri-State area. Some new faces and some old faces, but still the best stone products and service found in Cincinnati! Since 1988 Steve & Karen have owned Creech's Landscape and Garden Center a family-run and full service lawn, landscape, hardscape, and garden center located in historic downtown Lebanon, Ohio. 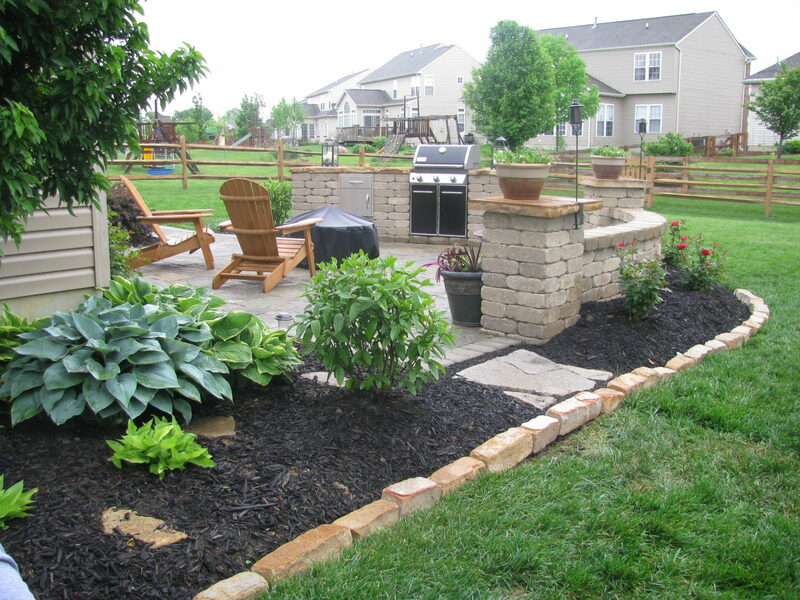 John is a veteran of the construction and landscaping industries. His 33+ year career in construction and project management makes him uniquely qualified to enhance the team. He and his wife are also the newest residents on Anchorage Road as they are living on the property. Bill is a 40-year veteran of the masonry construction industry and former owner of Ohio Valley Stone Products. You'll still see Bill here moving pallets of stone and doing what he loves to do- sell stone! Everyone knows Rob, he's the guy you've been dealing with for years at Ohio Valley Stone. He's still here and ready to serve you! It's time to get your project off the drawing board and into the dirt!